You probably already have the ingredients for this yummy granola on hand already. You can customize it by varying the nuts and dried fruits and adding other dry ingredients like coconut and sunflower seeds. You can find the recipe here. 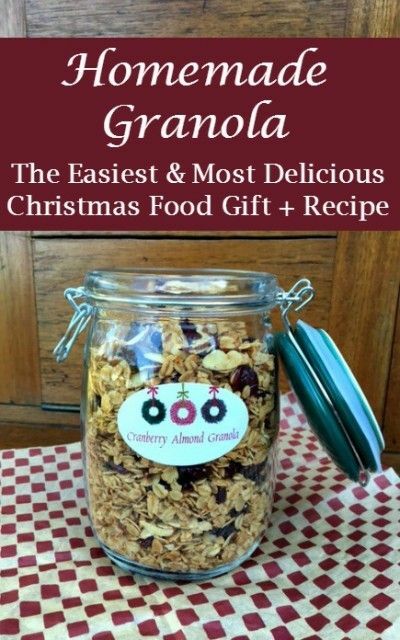 Put the granola in a Mason jar and dress it up with some ribbon for a thoughtful gift. I love the jars with flip tops like you see in the picture. You can find a variety of sizes and shapes online. 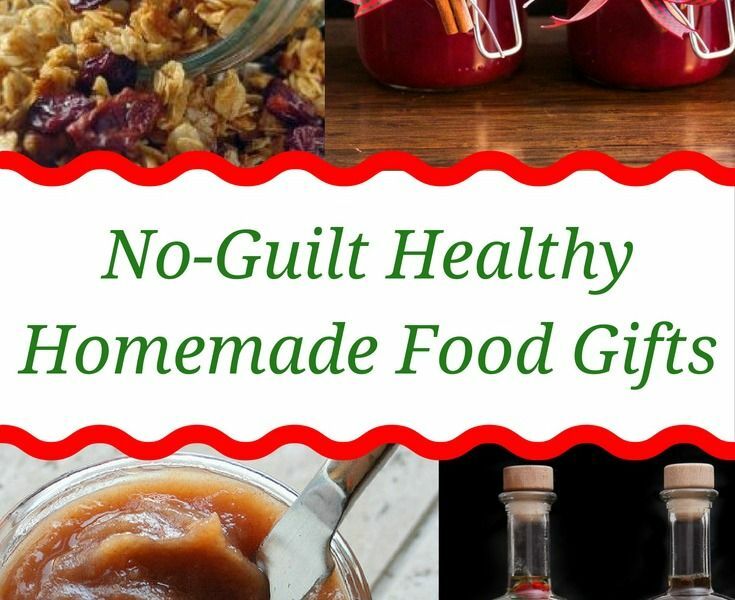 Is there someone on your gift list who loves to cook and who prefers to use natural ingredients? 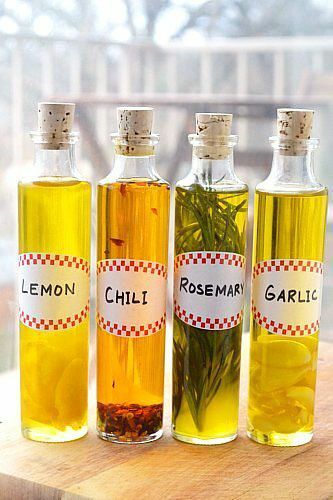 They'll love receiving any or all of these infused oils. You won't believe how easy it is to make this homemade apple butter! Twenty minutes of prep, 6 hours in the crockpot and it's done. Here's how to make it. I love it on toast and English muffins. It's way better than any apple butter you'll find at the grocery store! 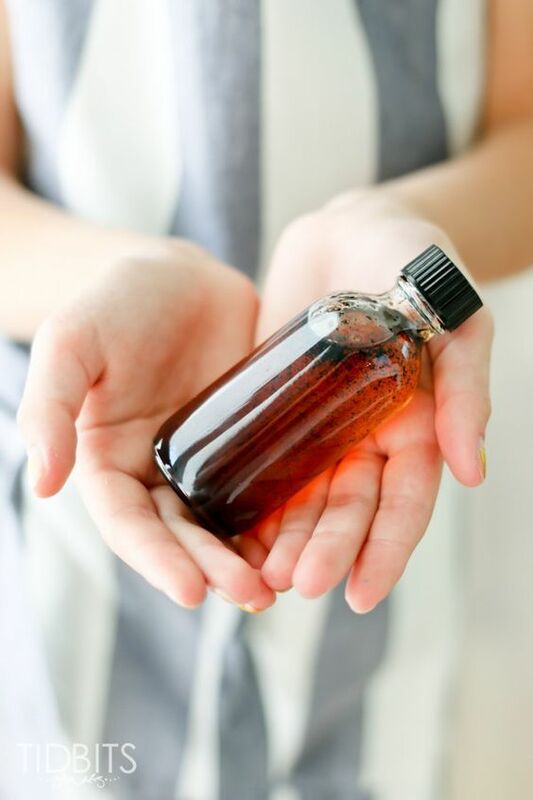 I've made my own vanilla extract from Madagascar vanilla beans and vodka in a jar, but it takes 2 whole months for the flavor to extract. Well, if you have an electric pressure cooker, you can cut the time down to 30 minutes! Seriously! These delicious nutritious one-serving instant smoothie mixes make thoughtful gifts for your health conscious friends. All they have to do is toss the mix in the blender along with some liquid. The colorful layers look beautiful in a glass jar adorned with a ribbon. You could make three or more different kinds to make up a variety pack. Now take at least one of these ideas and get started!